Amal Clooney and Cindy Crawford enjoyed a night in Los Angeles at Studio City on Thursday. Amal Clooney followed Cindy Crawford behind wearing a faux snake skin biker jacket. 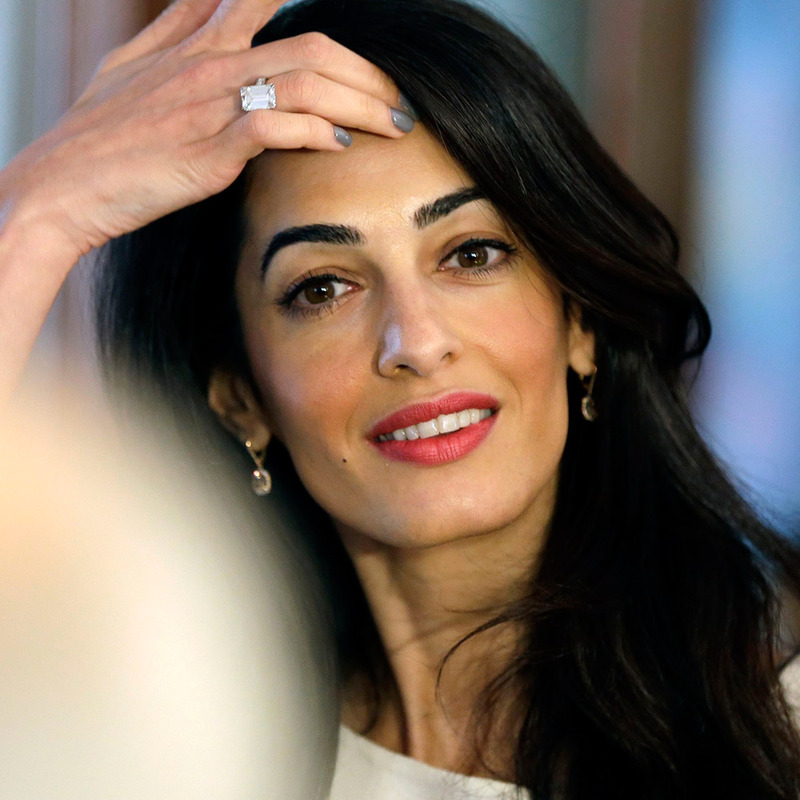 same here…..I like it on Amal, but I hate snake print anything for me. Probably due to my fear and loathing of snakes! Agree, snakeskin gives me the shudders. How can anyone comment on these pics of Amal? She is barely visible. Lol Are we even sure it’s her? You can always recognize her by the nose and hair parted to the same side with hair extensions. Looks like she is finally getting the message. Wearing real snakeskin is just wrong. How would you know it was this Zara jacket when we barely see anything on these pictures, except if some PR of hers contacted you regularly to let you know where she was and what she wore. Why is this site not publishing photos of Amal leaving Jennifer Aniston’s birthday bash a week or so ago? There’s several photos out there, and she looks gorgeous. Is there a reason you’re not publishing them? Thank you in advance. She’s wearing another tacky outfit and is attention -seeking. What else is new to report? Is this site even active anymore. Nothings been published in months. For the internet, a few weeks to publish pictures is incredibly slow. She missed stuff before the Cindy Crawford dinner.